Withnell Sensors are the exclusive UK distributors of Kambic, a manufacturer of Air Baths/ Temperature Controlled Chambers based in Slovenia. The Air Baths have exceptional performance and unbeatable value and are a perfect solution for an ultra-stable environment. 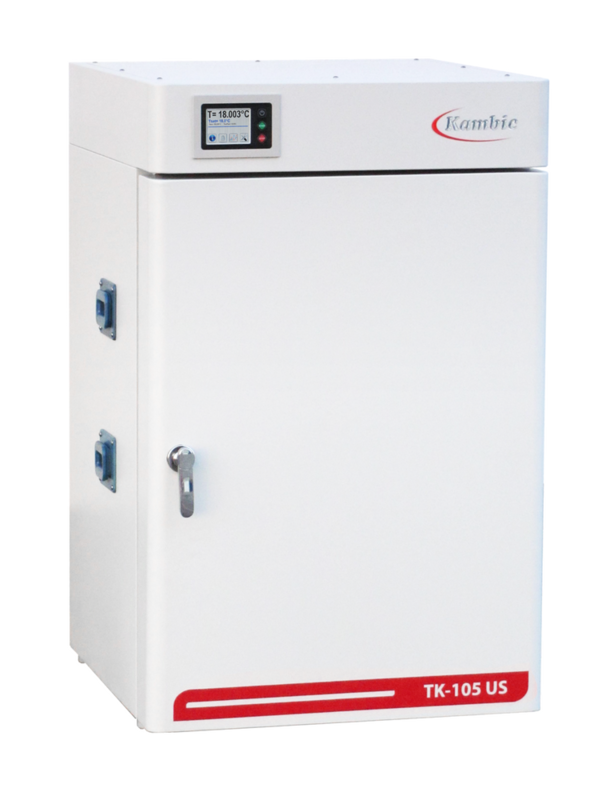 The Temperature Controlled Chambers are constructed as a convenient and inexpensive way to maintain the temperature of air resistors in the calibration laboratory. Easy access to the inside of the chamber is achieved through the conveniently mounted front door. The temperature controlled chambers have an ultra-stable temperature and uniformity, with a world class metrology performance. They provide a large and oil free working area, with low noise. Cooling and heating for the chamber are provided for by a thermoelectric Peltier element using internal thermistors as sensing elements. Internal fans are used to move the air inside the chamber to provide for better temperature stability and uniformity while maintaining a quiet operation. The internal temperature is shown on an external display located on the front of the chamber. A user friendly interior design with state of the art repeatability and a user-friendly touch screen interface. Fully stainless-steel chamber with 5 side double skin creating chamber in chamber environment for superior temperature uniformity. All exterior in galvanized and powder coated steel. We are always on hand to offer expert advice and technical support. Our engineers have experience with working with a range of clients on various projects. We can help you to select the right temperature controlled chamber to suit your requirements and our after sales care is exceptional, offering extra reassurance.